Cell-penetrating peptides (CPPs) have garnered significant attention as a method to introduce reporters and therapeutics into intact cells. While numerous studies have been performed identifying new CPP sequences, relatively little is known about their uptake efficiency at the single-cell level. Here, a droplet microfluidic trapping array was used to characterize CPP uptake across a population of single intact cells. The microfluidic device allowed for facile and rapid isolation and analysis of single-cell fluorescence in a 787-member overhead trapping array with > 99% droplet trapping efficiency. The permeability efficiencies of four different CPPs were studied and compared in HeLa cells. Population analysis was performed using linkage hierarchical cluster analysis by R programming to bin cells into subpopulations expressing very low to very high peptide uptake efficiencies. CPP uptake was observed to be heterogeneous across the population of cells with peptide concentration and sequence both playing important roles in the diversity of CPP uptake, the overall peptide uptake efficiency, and the intracellular homogeneity of peptide distribution. This microfluidic-based analytical approach finds application in personalized medicine and provides new insight in the heterogeneity of CPP uptake which has the potential to affect both biosensor and drug internalization in intact cells. The online version of this article ( https://doi.org/10.1007/s00216-019-01713-5) contains supplementary material, which is available to authorized users. The authors would like to thank Dr. Nancy Allbritton (University of North Carolina) for providing the GFP-HeLa and OPM-2 cells. 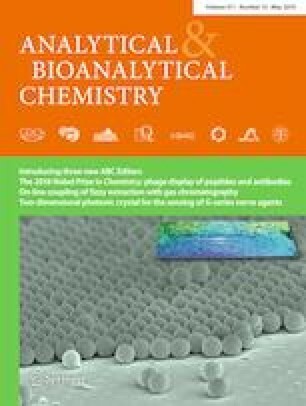 The authors would also like to thank Dr. Ted Gauthier (LSU AgCenter Biotechnology Lab) for assistance in the synthesis and purification of the peptides used in this study. The authors would also like to thank Joseph B. Balhoff for assistance in producing the graphical abstract and Riad Elkhanoufi and Wayne Wortmann III for some assistance with device fabrication. This work was supported by grants from the National Institute of Biomedical Imaging and Bioengineering (R03EB02935) and the National Science Foundation (CBET1509713) awarded to ATM.